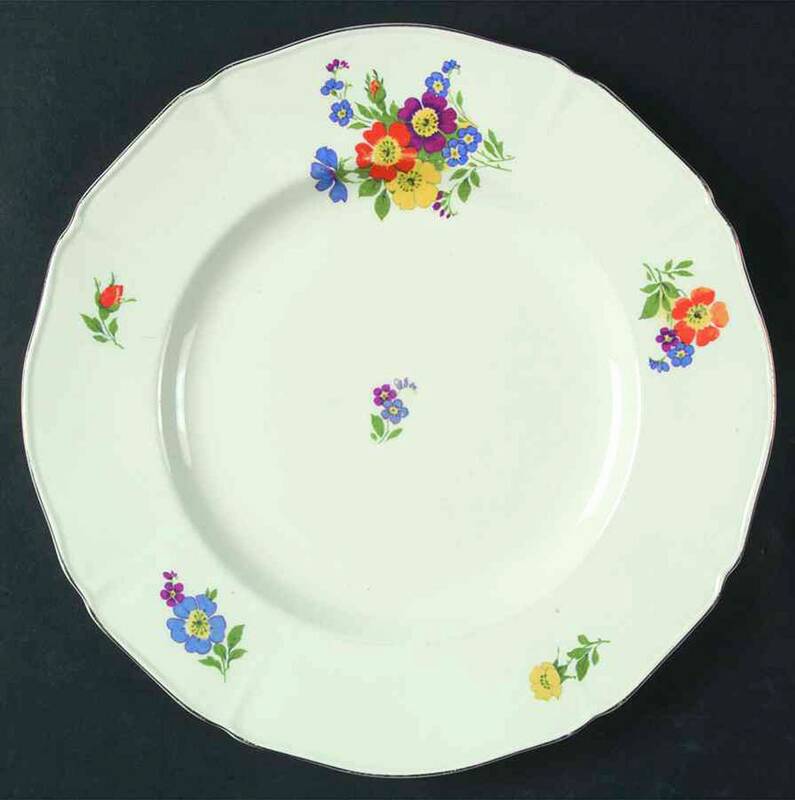 Almost antique (1920s) Alfred Meakin Freda hand-painted dinner plate. Multicolored, art-deco florals, cream ground, gold edge. 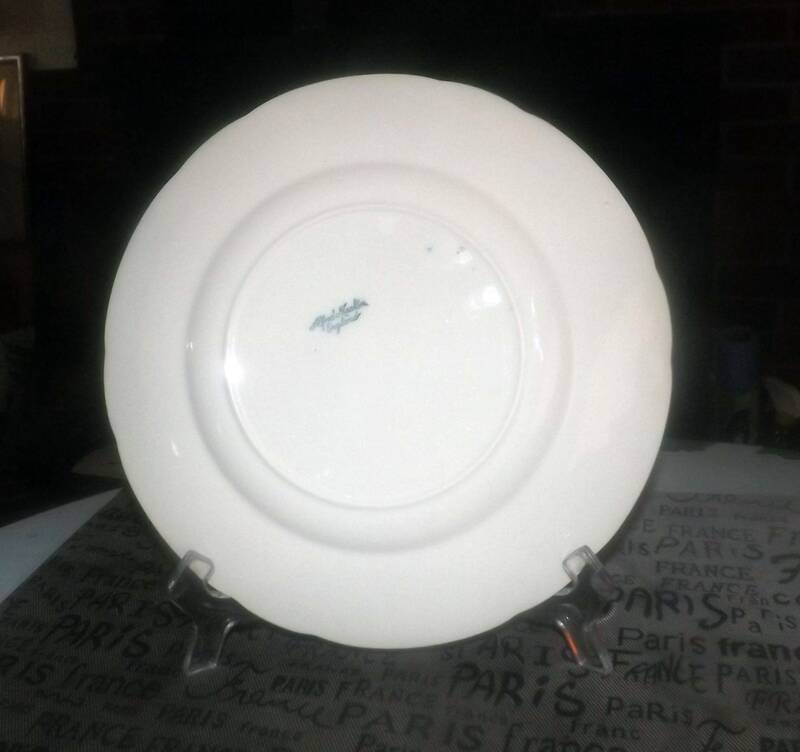 Almost antique (1920s) and now very hard to find Alfred Meakin Freda hand-painted dinner plate. Multicolored, art-deco style florals, cream ground, scalloped gold edge. In EXCELLENT antique condition with NO! chips, nicks, cracks or fleabites and NO! marks or stains. There is LIGHT! crazing apparent to the plate (for its age) and there is MODERATE! loss to the scalloped gold edge. The center florals show MODERATE! fading, but all other florals are bright and vivid with NO! fading apparent. 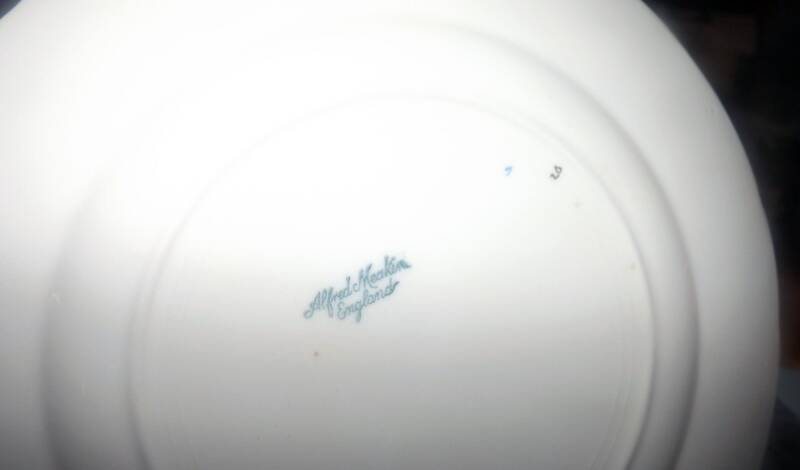 Gold decorator's s brush marks to reverse of plate in gold, as well as the artist's brush marks in blue. Approximate measurements: 10" in diameter (measured edge to edge) with a scalloped, gold edge.